Could You be Missing Potential Deductions? 10 million tax payers missed out on a chance to get a bigger refund last year simply because they neglected to fill out one line on their tax return. Will you miss a similar opportunity this year? 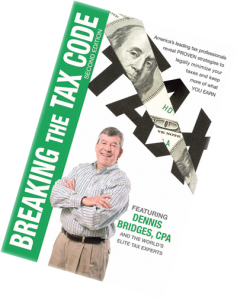 Today’s tax laws are increasingly complicated and the rules for deductions and credits change year by year. Are you aware of all the deductions and credits that might be available to you this year, even on the most basic of tax returns? Perhaps you feel secure in your do-it-yourself tax preparation software, but let’s face it… There is no substitute for an experienced tax professional who can answer your questions and ask you the questions that might be key to saving you tax dollars. Assurance that your return has been checked and double-checked for mathematical accuracy and errors that are commonly flagged by the IRS, resulting in fewer chances for contact by the IRS. Tips for better managing your payroll withholding so that you can have the advantage of greater income all year long, rather than loaning that money to the government and waiting for it to come back in the form of your yearly tax return. A list of common deductions that may benefit you in the coming year, and tips for limiting your future tax liability. Electronic filing for a quicker refund. Call our office 770-984-8008 or send us a brief email with the form provided, and we will be in touch right away. The Cohan Rule—What If I Have Terrible Records? "The Top 5 Personal Tax-Saving IRS 'Secrets' For Surviving Tough Economic Times"
SECURE & CONFIDENTIAL Your information will never be rented, traded or sold. We guarantee your confidentiality. We hate those spam criminals even more than you do! You will receive the promised report, as well as timely strategies for growing your personal or business finances.